Written by Christopher M. Aguiar, Esq. he cost of healthcare in the United States is out of control, and virtually everyone operating in the world of healthcare should know the root of the problem. As stated by Gerard Anderson, a healthcare economist at the Johns Hopkins School of Public Health, ‘the prices are too @#$% high.’ A sweeping statement that encapsulates the healthcare conundrum in five simple words. Many in the industry are giving it their all to try to combat those prices, and in no area is that more prevalent than in the world of self-insurance, where a new cost containment idea appears to service daily. But to launch those ideas without a full understanding of all the elements of self-funded benefits plans and all the issues that may arise can put plans and their advisors in the line of fire. Whether it is through ineffective implementation of a cost containment strategy (make sure your plan language strong before you start repricing those medical claims), misunderstanding the many relationships a plan enters into (consider your stop loss and network obligations before you try to implement any cost containment initiative), or not evaluating the situational prudence of a particular strategy, administrators must avoid going into any cost containment venture blindly. Those statistics do not even specifically reference some of the shortfalls of the highly touted savior of healthcare, the Affordable Care Act (the ACA). 3. According to the Henry J.
model will experience backlash as hospitals use the best resource they have against the benefit plans, the patients. The stark reality and the unrest it causes often leads to the demise of such innovative endeavors. As so many self-funded professionals will tell you, and especially with the new batch of organizations looking to self-fund in a post-ACA world, once burnt, a self-funded employer flees to the world of the fully insured, never to take on the risk of self-funding again, regardless of how lucrative the rewards might be. Amongst all of the innovative approaches discussed in the self-insured marketplace, all of which could have a separate article concerning the potential consequences of an ineffective implementation or execution of the model, many of the consequences and considerations discussed above are relatively contained within the confines of the model itself. But what about these models’ impacts on other, oft overlooked, perhaps more downstream cost containment tools? Consider this example: ABC, Inc. sponsors a self-insured employee benefit plan. It utilizes a referenced based pricing model with no network obligations, instead, it has established very effective plan language that provides for payment of 200% of some reference price John Smith is a beneficiary of the benefit plan and suffers injuries in an automobile accident. The benefit plan receives $200,000.00 in medical bills. Mr. Smith brings a third party claim and obtains the full insurance limits available to him, $50,000.00. Of that $50,000.00, he owes his attorney a 33% contingency fee, leaving him with a net settlement of $33,333.37. Assume that 200% of the reference price as established by the terms of the plan totals $100,000.00. Because the plan established its program effectively, the plan’s payment is entirely defensible. On the surface, the provider received a fair payment derived from publicly available data which covers the costs incurred in providing the services as well as an additional amount to ensure profitability. So, what is the problem? Recall that the provider’s initial bill for its services was for $200,000.00. When Mr. Smith went to the hospital, he signed a document wherein (the hospital will argue) he agreed to pay any balance remaining once his insurance pays for the services. As a result, the provider in this case now puts a lien on Mr. Smith’s settlement for $100,000.00, i.e. the difference between the $200,000.00 charge and the $100,000.00 paid by the plan. Of course, Mr. Smith also has an obligation to reimburse the Plan the full amount of his settlement. Presence in every region of the country. A commitment to maintaining our status as a privately-held company. An understanding of best-practices balanced with actual client needs. Bear in mind that many of the cost containment mechanisms that are sought after and publicized today are designed to control costs before the claims are actually paid, whereas more traditional cost containment strategies (e.g. subrogation) are focused on recovering funds that are already spent. So every cost containment model designed at reducing the amount spent will necessarily have an impact on the execution of an effective third party recovery program. guaranteeing payment. In order to obtain a recovery, the plan or its administrator may need to engage legal counsel and incur additional expenses thereby calling into question the prudence of such a pursuit; once those costs are factored in, and in light of the limited funds available, it may no longer make financial sense to pursue the recovery. As more benefit plans become more aggressive and experts come up with new strategies, it is important that those who establish benefit plans understand the full range of issues that may arise from their decisions. Utilizing experts that understand the self-insurance industry is an absolute necessity. Whether an administrator, a plan document drafting partner, a repricing agent, or a subrogation expert, understanding the self-insured marketplace improves the experience for the benefit plan, and puts it in the best position to succeed, and ultimately, remain self-insured. Christopher Aguiar is an attorney with The Phia Group, LLC. Beginning his career in 2005 and specializing primarily in subrogation recovery, Chris has managed thousands of cases nationwide and spearheaded negotiations between plan participants, plaintiffs’ counsel, and plan administrators on matters of State and Federal Law as well as ERISA Preemption, recovering millions of dollars on behalf of benefit plans. Since receiving his license to practice law in the State of Massachusetts in 2014, Chris has also handled plan drafting and plan consulting matters ranging from plan language analysis, claims appeal assistance, balance billing defense, pre-payment claim negotiations, overpayment recovery, stop loss, PPO, and administrative service agreements. remium finance” is not a familiar term to most people, both inside and outside the insurance industry. If people have heard of it, they tend to think of it as a tool for making payments on a single payment life insurance policy. However, it can be an important tool for individuals and businesses to maintain insurance coverage while keeping their finances balanced. Many premium finance companies use propriety software that allows the agents and brokers they work with to generate the PFA in their office at the time the insured is obtaining or renewing their policies. It gives the insured the opportunity to choose between making a single payment for their policy or to take out a loan with a premium finance company. Typically, a premium finance loan requires a down payment that is around 25 percent of the insured’s annual premium, followed by a monthly payment plan to pay for the additional 75 percent. Different premium finance companies have different payment plans—some require quarterly payments and some allow for the loan to be paid monthly. Nine payments are the standard within the premium finance industry. use that money towards their operating expenses and investments. Most insurers, captive and traditional alike, prefer to have “the money in the bank” as it were than to have to anticipate collection of premium payments. For captives, especially, it means they aren’t taking the credit risk, which can go a long way to enhancing their position as a legitimate insurer in the eyes of their regulator. Most captives utilize reinsurance to lower their net risk exposure and many reinsurance arrangements require upfront minimum and deposit premium payments to put the contract into effect. These large, upfront cash payments for reinsurance can be a huge burden on small- to medium-size captives. Why doesn’t everyone use premium finance? Many times captive owners just don’t know that premium finance is even an option. Occasionally, captive managers aren’t aware of it either. Many captive managers come from the accounting or legal side of insurance and may not be familiar with the front-end, hands-on side of the insurance business that is usually handled by agents and brokers. Premium finance companies, like IPFS, are working to change that through outreach and education. Premium finance can be an important tool for insureds, they just need to know about it first. Association captives and risk retention groups are key users of premium finance in the captive industry. Crnkovich is seeing pure captives and micro-captives making greater use the mechanism as well. For association captives and RRGs, and for that matter—all captives, credit risk can be a real concern, so it makes sense for captives to seek out premium finance and transfer the credit risk exposure to the premium finance company. SIIA Members Support Stop-Loss In Washington State Meeting A delegation of SIIA members recently visited the colorful and historic city of Olympia, capital of Washington at the southern end of Puget Sound. It wasn’t a pleasure trip. At stake was stop-loss insurance for self-insured employee health plans as it is ordinarily practiced. New Washington policy guidelines would jeopardize elements of stop-loss including lasering and advanced aggregate funding that help employers provide high quality health care for their employees and dependents. The SIIA delegation came away from the meeting with cautious optimism as regulators asked for further information and indicated they would initiate a data call among the state’s stop-loss carriers and self-insuring employers to assess current practices. Participating in the meeting led by Adam Brackemyre, SIIA Vice President of State Government Relations, were Michael Fry and Julie Bodmer of Symetra, Catherine Bresler of Trustmark, Mike Kemp of Swiss Re, David Fry of Voya, and broker Bob Bentley of Albers and Company. “Our objective was to help educate the key staff members of the Office of Insurance Commissioner (OIC) about a specific line of insurance that, to our knowledge, is not the subject of consumer complaints,” said Brackemyre. SIIA’s message included real-life examples of the practice of lasering as an alternative method to finance anticipated costs for employees or dependents with known extremely high-cost health conditions, and on advanced aggregate funding as a way to help plan sponsors spread their annual risk to better match up with their revenue flow. “I would rate the threat of these guidelines to disrupt the industry as about an eight,” said Mike Kemp, the Enfield, CT, head of accident and health insurance in North America for Swiss Re. Kemp flew the width of the country to participate in the same kind of process that helped to moderate a similar regulatory process in Connecticut within the last couple of years. “This is part of a terrific process. I’m a big fan of coalition building regarding regulation and legislation. I thought our delegation was comprised of just the right people to represent our industry and serve the best interests of people in Washington. Included in our group were a couple of insurance experts and a broker who really knows the business there. Insurance Company of Bellevue Washington, was among the in-state representatives at the meeting. He believes the OIC regulators were attentive to the health coverage needs of the state’s employees. “Their commitment to protecting the citizens of Washington was clear, and they told us at the end of the meeting that they don’t want to issue guidelines that are inappropriate. We know they could have issued guidelines arbitrarily and made us live with them, but that’s not their approach,” he said. Following the Olympia meeting, Brackemyre sent a letter to the OIC that provided further detailed information to support continuation of current stop-loss insurance practices. SIIA will stay in touch with the OIC data-gathering process and initiate further meetings when possible. Fry said that members of the SIIA delegation benefit from such cooperative advocacy. “Some of us compete with each other on a day-to-day basis but it was beneficial for all of us to present our case with a united front under the SIIA banner,” he said. SIIA members who wish to join the state government relations advocacy team are invited to contact Adam Brackemyre at the Washington, DC, office, (202) 463-8161 or abrackemyre@ siia.org. Health Insurance Portability and Accountability Act (HIPAA), as amended by the ACA and Title I of GINA.This article will serve as a GPS for sponsors and administrators of wellness programs to help navigate the road to compliance with the ADA and GINA rules. This is Part One of Two.This part focuses on GINA. 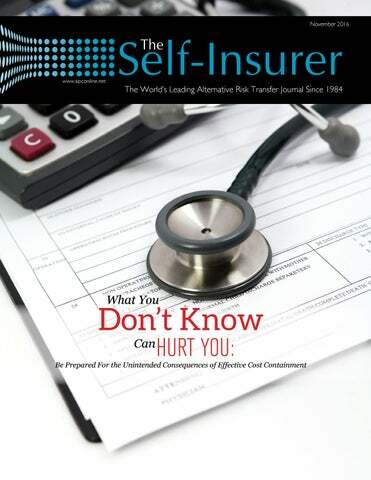 Part Two will cover ADA compliance issues, and will be in the December issue of The Self-Insurer. •	Employers may provide an inducement to the employee whose spouse provides his or her medical history as part of a health risk assessment. An employer may not, however, offer an inducement in exchange for the genetic information (beyond medical history) of a spouse (e.g., the spouse’s genetic tests) or the genetic information and/or medical history of an employee’s children, without regard to whether such children are adopted or natural, minors or adults. •	Any inducement provided in connection with the spouse’s medical history may not exceed 30% of the total cost of self-only coverage (30 Percent Limit) under the applicable group health plan (Benchmark Plan). Much like the Final ADA Regulations, the Final GINA Regulations provide specific rules for identifying the Benchmark Plan, which vary depending on whether the employer offers group health plan coverage and, if so, how many health plan options are offered. •	In accordance with the 2010 GINA regulations, the spouse must provide prior, written authorization. In addition, all information collected must be used solely for the purpose of the program, and no information collected may be disclosed to the employer except in aggregate, de-identifiable form. The wellness program must be reasonably designed to promote health and prevent disease. Employers are prohibited from denying access to health insurance if a spouse refuses to provide his or her medical history. The provisions in the Final GINA Regulations related to inducements for a spouse’s medical history are effective on the first day of plan years that begin on or after January 1, 2017. •	The individual voluntarily provides the information. Information is not considered to be voluntarily provided if a penalty is imposed on individuals who choose not to provide such information. for information regarding a spouse’s manifestation of disease, and then only to the extent the spouse provides the authorization required by the 2010 GINA regulations. No inducement may be offered in exchange for a spouse’s genetic information (other than medical history) or the genetic information and/or medical history of a child. •	The individual’s identifiable genetic information collected through the program is used solely for purposes of the program and none of the information collected is disclosed to the employer except in aggregate, de-identified form. be used for the program, and no information may be provided to the employer except in aggregate, de-identifiable form. for identifying the Benchmark Plan, which vary depending on whether the employer offers group health plan coverage or not. These rules are identical to the rules prescribed in the Final ADA Regulations for identifying the applicable Benchmark Plan. Unlike the Final ADA Regulations, the Final GINA Regulations, in conjunction with the 2010 GINA regulations, do not appear to allow disclosure of identifiable information to the employer to administer the health plan. It is unclear if this is an intentional limitation or an oversight. Such a limitation could have a significant impact on plans that use health risk assessments and screenings. participation in the wellness program or provide any inducement to the employee or spouse in exchange for an agreement permitting the sale, exchange or disclosure of genetic information. •	The employer may not exclude a spouse from participating in a health plan, restrict access to health plan options or otherwise retaliate against the employee or the spouse who chooses not to participate from participation in or restrict access to health coverage. •	Carefully review your wellness programs to determine whether it includes DRIs or MEs. •	Include an ADA-compliant notice in your wellness program materials and ensure that program participants receive that notice before they provide any information. •	If you offer inducements in connection with responses to DRIs or completion of MEs, ensure that all inducements related to DRIs and MEs (even if offered under different programs maintained by the same employer) do not exceed the 30 Percent Limit. •	If you provide inducements in exchange for information regarding a spouse’s manifestation of disease or disorder, be sure that the spouse provides a prior, written authorization for such information and that the information is kept confidential in accordance with the Final GINA Regulations. SIIA Endeavors: SIIA’s 36th National Educational Conference Wrap Up Mulling Political and Business Disruption Everything is bigger in Texas, as the saying goes, and the depth of meaningful content at SIIA’s 36th National Educational Conference in Austin certainly lived up to that billing. In fact, a towering theme hung over both the opening and closing keynote addresses: making sense of significant disruption to U.S. politics and business. “The single most important story of this election was a husband and wife demographer who studied morbidity and mortality rates,” he noted. What they found was white men age 40 to 60 were dying sooner because of drug abuse and suicide. The culprit: a loss of hope, disruption, displacement and a feeling that what was promised, predicted and known was turned upside down. While the future belongs to women, he said Clinton miscalculated their role in the election – which is why poll numbers showed a tight margin based on gender. Donald Trump emerged as a political outsider who represented hope for the disenfranchised, he added, referencing the cusp of a second machine age driven in large part by robotics and breakdown in the family unit. Attendees were treated to a political science lesson from Chris Stirewalt, digital politics editor at the Fox News Channel who kicked off the event. He devoted most of his insightful talk to how the nation arrived at a point where both major political parties chose presidential candidates with such high disapproval ratings. Asked what will likely happen to the Affordable Care Act under the next president, Stirewalt doubted that Congress will have the political will to repeal and replace the ACA or embrace a singlepayer solution. Instead, he predicted several patches to the landmark legislation to help better control rising costs. Stirewalt also opined that Americans will need to take more personal responsibility for adopting healthier lifestyles rather than expect a national government solution. He noticed 15 wheelchairs lined up at the gate upon stepping off an airplane a few days prior to his appearance at the conference, figuring obesity is playing a major role in shaping the health policy debate. the North American Free Trade Agreement decimated its industry by producing bullet-proof vests that were too high end for anyone to produce for less outside the U.S.
What’s a ‘Reasonable’ Price to Charge? Another key ingredient is to build customer service around honesty and respect when handling complaints, Stevenson said. “People are more forgiving than we think,” he observed, noting how 75% of patients will not sue for malpractice if a doctor admits to making a mistake. Critical Reference Points: 3 Perspectives In each of the many discussions about reference-based pricing (RBP), speakers and attendees alike sought to answer the proverbial $64,000 question: What exactly is a fair market price that will please all major stakeholders? In a heavily attended session entitled “Reference Based Pricing – Exploring Different Strategies and Approaches,” panelists agreed that Medicare reimbursement can be used as a baseline charge. What’s unknown, of course, is the additional layer needed to settle each balance bill in a rational way as part of a standard methodology for RBP. They said it can range anywhere from Medicare plus 20% to 140% and even higher (i.e., a hospital administrator’s hope). One panelist suggested the 40% to 45% range as a sweet spot for self-funded plans. Since Medicare sets a fixed payment amount, it’s “the easiest calculation any underwriter could ever do,” said Mike Dendy, CEO of Advanced Medical Pricing Solutions. Under this approach, he explained that “the plan document defines exactly what the employer will pay, and the stop loss carrier is an extension of the employer plan, and that’s what they’ll pay, so they’re bulletproof.” Another suggestion is to examine BUCA (Blue Cross, United, Cigna Aetna) out-of-network claim contracts that are clobbering employers in order to help benchmark RBP rates, he said. Threat of regulation When viewed in a much larger context, it’s critical that a market solution be pursued to avoid Congress stepping in at some point and setting prices directly, cautioned Edward Day, CEO of HS Technology Solutions, Inc. He described regulations on financial-assistance policies as “very vague,” though they still impose some discipline and limit expenses to average managed care prices, the usual, customary, and reasonable structure, or Medicare prices. Also noting how the Department of Labor released some quasi-regulation on RBP, Day said “it’s clear they don’t really quite understand it.” The oversight was geared more toward a CalPERS-type plan with hospital contracts whose health plan members were “stuck holding the bag for the difference between the contracted price and the reference price,” he explained. Hospitals realize that as unregulated utilities transitioning the way they conduct business (i.e., embracing RPB) is always preferable to oversight, Dendy observed. But their backs are against the wall considering that 99% of Americans “can’t pay an extra $5,000, $10,000 and certainly not $100,000” in balance billing, he explained. Another potential risk hospitals run involves PR fallout in their local community from patient billing horror stories. “So by having any of us act as a fiduciary for a plan, the medical extortion corridor is shut off,” he said. “Now the hospital has to deal in good faith.” Kelly encouraged attendees to have open discussions about billing disputes with high-performance health providers and said patient advocacy on the front end will vastly reduce the number of balance bills. But he also mentioned that it’s important the hospital community understands that employers are prepared to litigate in the absence of good-faith negotiations, even though that it rarely happens. Another helpful tip involved the use of technology, which Day said can more easily help identify appropriate prices in different markets. “As we know, health care is not a one-size-fits-all [proposition], so using the technology to filter, manage and communicate effectively has proven very effective for us,” he added. RBP Seen as Powerful Transparency Tool Conference rooms, hallways and exhibit-hall booths were buzzing with talk of referencebased pricing (RBP) perhaps more than any other topic. In one particular session entitled “The Future of Stop Loss – Industry Leaders Weigh in,” it was standing room only. Bob Baisden, president of International Assurance of Tennessee, Inc. who was one of five panelists weighing in on this topic, described RBP as the latest incarnation of transparency. He said California Senate Bill AB72 and Florida House Bill 221 are leading the way to protect patients from surprise hospital bills. and do a better job of controlling cost when balance billing occurs, said Mike Kemp, head of the North America accident and health business unit of Swiss Re Corporate Solutions . The goal is to achieve a level that the payer and provider agree to be reasonable pricing. While some hospitals are using bill collectors, he noted that others are willing to negotiate and this practice will help grow RBP. Steve Gransbury, president of accident and health at QBE North America, has seen rocksolid outpatient advocacy playing a part of the RBP model. “The most important element to these arrangements is when you prepare a claimant or an employee that they might get a letter, nasty-gram, or threat of a second mortgage or somebody taking away their home in balance billing situation,” he opined. The Leapfrog Group helps consumers evaluate hospital cost and quality in terms of surgeries, number of services offered and mortality rates, Doran observed. As part of that movement, he said there’s also momentum to improve practice patterns. However, it also would be helpful for the industry to give more thought to using pricing transparency as a tool at the employer level rather than expect consumers to take action, Gransbury suggested. Most of the top brokers have approached him about having a producer panel in place to help steer employer clients to the right resources for managing their risk. Indeed, employers expect more collaboration in the marketplace than they ever have and this will be a key theme in the next three to five years, predicted Brad Nieland, VP of stop loss at Sun Life. He said there will be some cost containment wrapped around a producer panel to improve coordination with stop-loss carriers, especially in light of growing pharmacy trend. In fact, Nieland has seen a 25% increase in $1 million claims largely driven by specialty drugs and believes it’s only a matter of time before the trend will include $2 million claims. In a Mercer survey of employers with 1,000 lives or less, Nieland noted that more than half carved out their stop-loss business rather than bundle it with administrative services only carriers. He believes greater use of producer panels will help promote this trend. Benefits eligibility is seen as a huge issue with regard to stop-loss claims when balance bills are submitted, though a key question remains about who exactly owns the claims eligibility reporting. There should be a reference to employee handbooks in a plan document to help stop-loss claims analysts, Kemp suggested. A big problem is when a $500,000 claim is made for someone who’s not eligible for the plan, Baisden noted. Captive traction Panelists also addressed the rise of captive insurance to help control employee health benefit costs. Gransbury, whose single-parent and homogeneous group captive business is thriving for groups in the 1,000 lives range, explained that it can be challenging and time-consuming to spread volatility among smaller groups. He also said there’s more traction with captive risk financing in terms of claims management and ensuring there aren’t overages, less reliance on spreadsheets with captives and no shortage of carriers and reinsurers serving the marketplace. A key component to the captive model is the level of employer engagement, according to Kemp, who said it creates a self-selection process that draws like-minded groups that want to take a more aggressive stance on health benefit costs. It creates “a selfselection process that brings in and attracts those employers that really see the value of their health benefit plan, but want to do something about the cost,” he noted. “They’re managing just like any other cost of business.” Kemp said there’s a need to educate and train brokers to understand what the captive means and doesn’t mean and that one size doesn’t fit all their clients. Whether it’s the use of captives or alternative funding, the marketplace is looking for solutions and brokers are looking for differentiation, added Nieland, who believes these arrangements will continue to gain market share as more employers move to self-funded health plans. Montana’s DataDriven Approach to RBP In the reference-based pricing (RBP) arena, it’s not unusual to raise eyebrows in response to crunched numbers. There was a telling moment during intense negotiations between the state of Montana’s health care and benefits division and 11 hospitals. Hospital CFOs weren’t able to guess their own charges when aggregate data was shared, according to Ron Dewsnup, president and general manager of Allegiance Benefit Plan Management, whose analysis helped the state save millions. He said “it was the first time they had seen anything other than either their chargemaster comparison or their cost to charge ratios.” Marilyn Bartlett, an administrator with the state, experienced her own revelation: “We realized that the higher-cost facilities were coming in with the lowest quality, and the lower-cost were coming in with a higher quality.” These recollections were shared in a session entitled “Data-Driven Medicare Reference Contracting,” which detailed a nearly seven-year journey during which the state’s largest self-insured plan was able to significantly lower hospital costs and improve efficiencies. Using data comparing allowed amounts to Medicare as a common reference, the state finalized new contracts by July 1, 2016 with all 11 hospitals across Montana where 87% of state hospital dollars flowed prior to the agreement. Because of its size in the marketplace, the state was able to wield its considerable purchasing power and obtain substantial discounts on hospital services. The hope was to pursue a collaborative approach based on trust and negotiation in terms of determining reasonable and appropriately priced contracts. One concession the state made was to keep these negotiations under wraps as long as the hospitals agreed to new contracts and avoid balance billing. But it wasn’t easy arriving at that point. Of roughly $200 million in taxpayer dollars that Montana spends each year, 43% went to hospital expenses, 22% to pharmacy benefits and 18% to out-of-state facility charges. the cost of an outpatient MRI. Chief among them: expenses related to buying or leasing the machinery, equipment wear and tear, staff salaries, climate control or electric bills, cleaning fees and related overhead such as malpractice insurance. Scott suggested that members of the self-funded community approach the right person at their local hospital (i.e., someone who understands the expenses associated with balance billing and has the authority to negotiate with TPAs and self-insured employers). “Talk to that person early and often – certainly before any patient is presented with a balance bill,” she advised. Another recommendation is to maintain a conciliatory tone by framing the discussion in terms of cooperating with providers to minimize balance billing, collection costs and bad-debt write offs. 10,000 readers around the world. The Self-Insurer has been delivering information to the self-insurance /alternative risk transfer community since 1984 to self-funded employ ers, TPAs, MGUs, reinsurers, stoploss carriers, PBM s and other service providers. tive Risk Transfer Committee. His talk was entitled “Stop-Loss Captive Programs – The Basics Plus Lessons Learned.” Captives not only fill a void in the stoploss market, they also enable like-minded employers that band together to share in the spoils and help service providers become more profitable, according to Cavenagh. To some degree, he said, they represent a unique offering that is trickling down market to smaller groups. But given the stop-loss captive structure, it would be unrealistic for each employer member that invests its own capital to expect any sort of rate reduction in the first year, cautioned Brian Johnston, an employee benefits attorney with Polsinelli who moderated the session. He said based on his experience in the industry, a three- to fiveyear commitment is necessary before being able to reap any ROI from the arrangement. Serving as a backdrop for their rise is the increasing cost of benefits, though that argument equally applies to self-insurance and other alternative risk transfer arrangements. While there are tax-deferred advantages with stop-loss captives, Cavenagh said they’re not as large as on the P&C side. The duration of stop-loss captive claims “is much lower than it is on the P&C captive because the dollars are going out the door so quickly,” he explained. Program evolution While stop-loss captives date back to the 1980s when ACE created the market, the first employee benefit captive program Cavenagh knows of was in the ’90s. In 2008, he said there were three different structures that have since morphed into a single vehicle involving traditional stop loss. One is a captive direct that writes stop-loss coverage directly in a given state and is subject to a particular state’s regulation. Other popular captives involved risk retention groups (RRG) whose advantages were similar to direct captives and fronted captives. The latter ended up replacing the former after California regulators pursued legal action involving an RRG. In 2013, the number of stop-loss carriers and captive managers expanded dramatically, Cavenagh noted, and there have been very large jumps in growth since then now totaling $500 million. But it could climb much higher. Cavenagh predicted “explosive growth” if there are more defections to self-insurance from an estimated $700 billion to $800 billion in pool of premium among fully insured group health plans. He also said the stop-loss market is about $13 billion. Each member of a stop-loss captive has its own plan and rate based on experience, while the group will share large claims, which Cavenagh called a key component of the arrangement. His firm has found that heterogeneous captives tend to be a bit more successful than homogeneous arrangements, which could be attributed to more freedom to focus among employers that do not compete in the same industry. Group decisions are collectively made with regard to renewal or service providers, wellness, plan designs and options. Considering the old axiom about managing only what can be measured, a full understanding about the potential of captives is still being formulated. There wasn’t much data on captives being shared in a recent SIIA membership poll, Cavenagh reported. Still, he lauds SIIA for doing “a great job of educating the industry” about captives. There also can be legal pitfalls associated with stop-loss captives. For example, since employee contributions to a plan are defined by ERISA as plan assets, they cannot be used to pay for non-claim related expenses in a captive, according to Johnston. That could be deemed a prohibited transaction, among other things, he said, adding that the captive does not pay claims – it reimburses for expenses. A dearth of information about stop-loss captives, however, can lead to unfortunate assumptions that serve as an obstacle to growth. All captives fall under the ERISA definition of a multiple employer welfare arrangement (MEWA), Johnston noted. In essence, they involve two or more employers that band together in an aggregate structure to provide benefits to employees of multiple organizations and co-mingle assets. And since states consider MEWAs unlicensed insurance companies, he said it was critical for the self-insurance industry to educate regulators about the differences between MEWAs and captives, as well as demonstrate the latter’s money saving potential. The Meddler Ripley’s Med Center Shocker! combinations, and we employ board certified physicians directly in claim reviews–sometimes even to reach out to the provider to discuss the case. Seeing is believing. Add MultiPlan Payment Integrity to your current program and see how much more accurate your claims payment can be. © 2016. MultiPlan, Inc. All rights reserved. into traditional commercial insurance solutions. A Marsh benchmarking survey analysis shows “interesting” growth patterns in nontraditional coverages from 2014 to 2015 in terms of employee benefits (nearly 143%) and supply chain (133%) purposes, observed Michael Serricchio, SVP at Marsh Captive Solutions. Other such areas included cyber liability (30%), political risk (26%) and medical stop loss (nearly 14%). Leading traditional lines of coverage include general public third-party liability, property and workers’ compensation or employers liability. In terms of the means by which the insurance tax status for ERCs is achieved, he noted that the vast majority involve what’s called a “brother/sister” approach (66%) compared with unrelated risk (25%) and a hybrid of those two arrangements (9%). There’s no cookie-cutter approach to captives, according to Theriault, who said there could be a dual-path solution in that “a group captive could fit well with a secondary ERC captive for all the P&C lines of business.” When addressing captive basics, several key points pertaining to the role of an ERC emphasized the need to have a disciplined, controlled formalized mechanism for self-insured risks, as well as a reasonable, smart, prudent and conservative philosophy. In terms of fundretained corporate risk, ERCs insure predictable or high-frequency, and high severity or lowfrequency claims. Serricchio pegged the typical ERC captive cost at “somewhere between $40 and $90,000” to get the arrangement off the ground, including a feasibility study, implementation, government fees, actuarial work and legal advice. The process generally takes one to three months, he said. In terms of operational costs, he noted that it’s less than $72,000 a year to run. The latest Business Insurance Directory on captive managers and domiciles shows that Vermont leads the pack among domestic captives at 587, followed by Utah at 422 and Delaware at 333. Some U.S. regulators are keeping a close watch on these borders. There could be a self-procurement tax as high as 5% or 6% that’s assessed on premiums paid to a captive located in a state other than where the company is based, according to Theriault, who noted that the additional cost could be significant. There also are issues involving offshore domiciles to consider. For example, if an ERC is established in the Cayman Islands, Serricchio said there also would have to be a 953(d) tax election to make it a U.S. company for tax purposes. As many as four years ago, Theriault noticed new captive managers or consultants entering the marketplace. Such activity has since slowed down, and if that trend continues, he believes some small managers could be acquired by bigger ones. He also has seen an uptick in RFPs from existing ERC captive owners who are considering a change in service provider for various reasons. About 40% of his clients are the result of takeovers in the small captive sector. Bruce Shutan is a Los Angeles freelance writer who has closely covered the employee benefits industry for nearly 30 years. 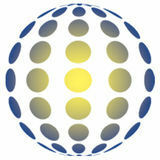 SIIA Diamond, Gold, and Silver member companies are leaders in the selfinsurance/captive insurance marketplace. Provided below are news highlights from these upgraded members. News items should be submitted to Wrenne Bartlett at wbartlett@siia.org. All submissions are subject to editing for brevity. Information about upgraded memberships can be accessed online at www.siia.org. For immediate assistance, please contact Jennifer Ivy at jivy@siia.org. If you would like to learn more about the benefits of SIIA’s premium memberships, please contact Jennifer Ivy and jivy@siia.org. Sometimes more really is more. Swiss Re Corporate Solutions has joined forces with IHC Risk Solutions. By integrating IHC’s business we are complementing this highly-regarded firm’s wealth of expertise with our own financial strength and global capacity. It’s a powerful combination of expertise and capabilities, and we believe it offers enhanced value to any employer seeking to self-fund their healthcare benefit plan. But there’s another belief that we share with IHC, and that’s in the paramount importance of understanding and supporting the needs of our customers and building strong, enduring partnerships. We wouldn’t have it any other way. We’re smarter together. swissre.com/esl Insurance products underwritten by Westport Insurance Corporation and North American Specialty Insurance Company. At MultiPlan, employees are instrumental to success and rewarded accordingly. MultiPlan offers a very competitive compensation and benefits package, an incentive bonus program, service recognition awards and an employee recognition program that honors individuals whose achievements go above and beyond expectations. The National Account Manager, BCBS Markets is responsible for the day to day management of the business relationship between the Company and assigned BCBS customer(s). As the primary interface with the customer, this job is responsible for facilitating the delivery of the Company’s branded services; developing and maintaining positive relationships at all organizational levels; and communicating customer business needs to the Company’s process owners. The National Account Manager of BCBS market must be strategic in managing and retaining their block of business. An incumbent must also understand and exceed the expectations of the client in their partnership with the Company and initiate improvements to better service the client. An incumbent must deliver effective and organized presentations in order to increase the Company’s revenue from new or existing clients. The incumbent has the latitude and authority to make commitments on behalf of the Company within defined parameters. Learn more at http://www.jobs.net/jobs/multiplan/en-us/job/United-States/National-AccountManager-BCBS-Markets/J3G1T46XDDN8DS1TP33/. •	Maintains the windows network administration, network monitoring and maintenance and network security. •	Maintains the enterprise application deployment architecture. •	On-Call 24x7 responsibilities. •	Implement enterprise remote services. Do you have a plan for your Health Plan? With Renalogic, you’ll know you’re playing by the right rules. We’ll help you guard your savings, tackle costs and score points with your members. Our end-to-end kidney health solution can save your health plan up to 87% off of full billed dialysis charges with cost containment alone. In addition, our CKD Management program can help prevent members from progressing to dialysis. Kick off your savings with a FREE risk analysis. For a complimentary kidney disease risk assessment, e-mail solutions@renalogic.com or call (866) 265-1719. •	Implement client management technologies. •	Assists Technicians with second and third level support of client devices/applications. •	Deploys software to client devices using enterprise deployment tools. •	Implement device security architectures using group policies, registry settings, anti-virus, and vendor provided patches. •	Deploys patches, software updates, and anti-virus updates to enterprise systems. For more information and to apply, visit https://redcard.aaimtrack.com/jobs/97601. html. with customer service; maintaining financial reports, records and general ledgers, and perform general bookkeeping, such as accounts payable and accounts receivable. Additional duties include communicating with clients via telephone, email or regular mail; managing database records; drafting status reports on customer service issues; and managing the day-to-day operations of the office. Specialty Care Management believes in delivering superior value to our many clients in the self-fund market by combining innovative products and competitive rates with superior service. E-mail your resume, cover letter, and salary history to cclemente@specialtycm.com. To find more information, visit http://www.specialtycm. com/careers/. •	Bachelor’s degree Interested parties should submit their resume and cover letter to: info@ wspactuaries.com. As patients take on more cost, who should be responsible for helping them find value in healthcare? American Fidelity Recognized as One of the “Best Workplaces in Finance and Insurance” by Fortune Magazine and the Great Place to Work Institute American Fidelity Assurance Company received national recognition as one of the “Best Workplaces in Finance and Insurance” as recognized by global research and consulting firm Great Place to Work® and Fortune Magazine. American Fidelity was also selected for several other lists by Fortune this year, including the 100 Best Companies to Work for in America, Best Companies for Giving Back and the Human Capital 30: Companies that Put Employees Front and Center.